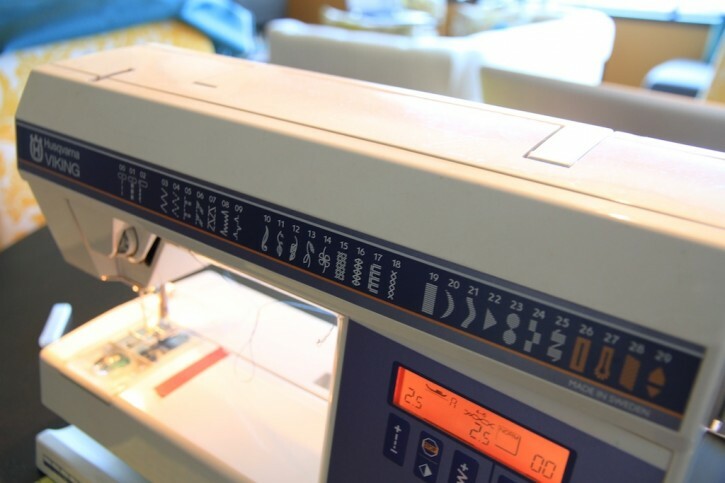 When I was looking to buy my first sewing machine over 10 years ago one of my requirements was that it had a few decorative stitches. I ended up buying a Viking Husqvarna 350 which has several decorative stitches and is programmable so you can combine them together. How often do I use these decorative stitches? Pretty much never! But they are pretty and I would like to use them. 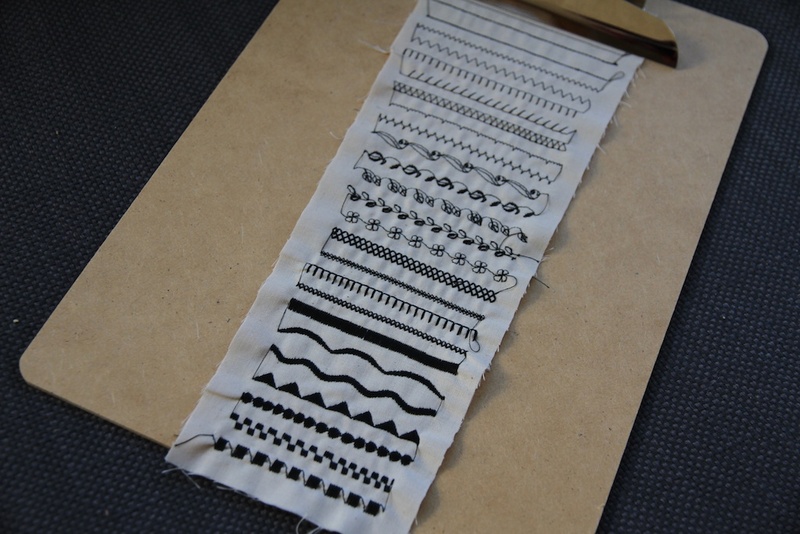 So while I had some black thread in my machine and some muslin scraps I made myself a little stitch sampler. I’m going to hang it near my sewing table so I can be inspired while I’m making things. Even now I’ve got some ideas to use these stitches. For example, I love that double cross stitch pattern that’s below the flowers. I can totally see that on a hem or neckline. I like the satin stitch beading pattern too. Do you ever use decorative stitches in your projects?